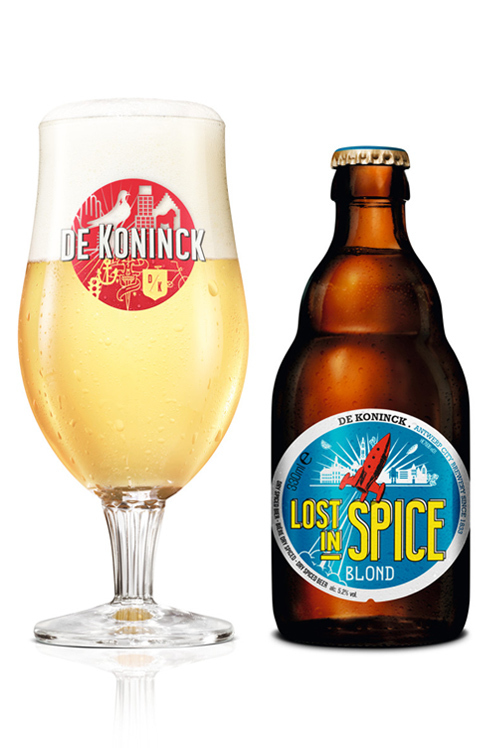 City Brewery De Koninck love experiments, with multiple, sometimes slightly eccentric test brews as a result! Beers that are normally brewed only once and available for a limited time only. But Lost in Spice, our fourth test brew, just seemed to hit the nail on the head. And because it quickly earned such a loyal following, we decided to make it a permanent fixture alongside the Bolleke, Triple d’Anvers and Wild Jo. How did it all begin? Our Master Brewer, Sven was completely Lost in Spice when instead of hops, he loaded our hop gun with spices. At which point dry hopping made way for “dry spicing” with ginger and cardamom. In addition, orange peel, coriander and lemon were also added to the mash tun, resulting in a refreshing, pithy blond beer of 5.2% alcohol with fruity notes of citrus and a spicy aftertaste. Lost in Spice lets you taste the sun all year round! In recent months, the De Koninck brewery site on Mechelsesteenweg in Antwerp has been a hive of activity and construction work. While the brewers carry on brewing their celebrated Bollekes in the brewhouse, walls have been knocked out in the surrounding buildings to create new spaces. Starting from summer 2015, the renovated city brewery will be opened to the public so that everyone can come and discover what goes on inside.